What To Do About Smoke and Soot Residue From Fire Damage. While your carport might have open sides, smoke and soot from cooking out in your Triad home's add-on can accumulate. 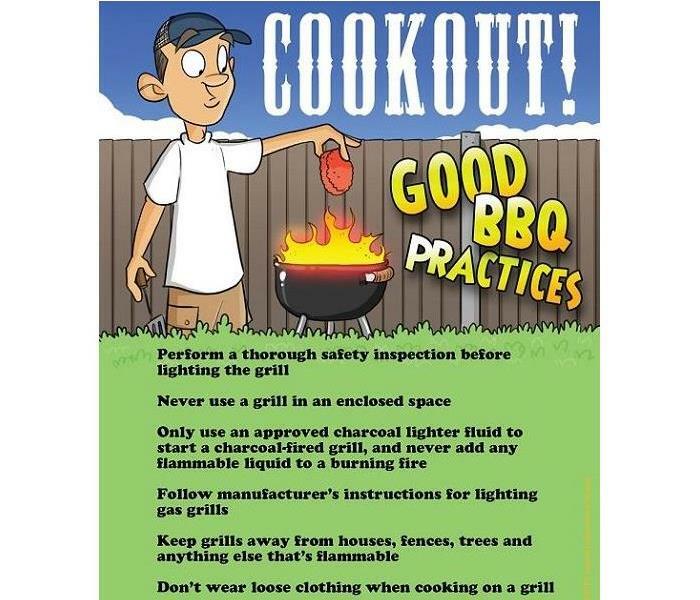 Fires are also possible when flammable liquids placed in storage come in contact with hot coals from the grill. We help homeowners in Winston Salem deal with fire damage and how it affects their properties of many different kinds. Soot and residue from smoke, as well as charred areas, and the subsequent odors that linger can all make your home less comfortable for you and less inviting for guests. Getting these areas clean again requires the use of a ladder and working overhead with special agents hat strip surfaces of greasy soot without damaging the structure. 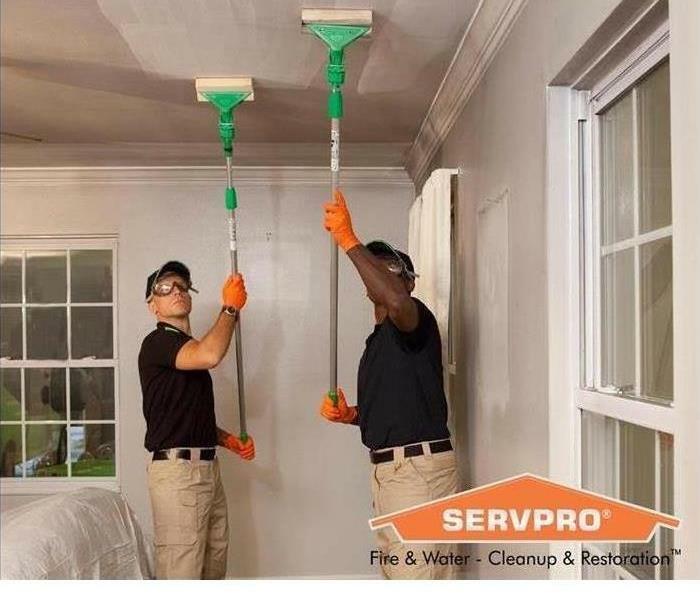 Instead of doing this yourself and spending a weekend laboring away at detailing every nook and cranny, SERVPRO recommends having skilled professionals perform the work. We do this type of work regularly and can save you the hassle of a 'lost weekend' that you could most likely put to better use. We use specially formulated in-house cleaning agents that break soot and other greasy substances down and make them easier to wipe away without leaving a residue or streaks. The towels we use add to the cleansers' effectiveness and make our work incredibly efficient. Your carport can feel new again, “Like it never even happened.” by the time we finish. When your tools, sporting equipment, and furniture your carport covers also feel grimy, we can get these cleaned up. The cleaning we do can produce such effective results, the odors you might have noticed disappear along with the soot. Everything looks and smells better after a thorough cleaning with SERVPRO's specialists. SERVPRO of Winston Salem North can help restore your carport and any other area of your home affected by fire damage. We're ready to answer your call and give you the answers you need. Call our 24-hour emergency services line, (336) 744-5104, any day of the year. We are recognized as a leading fire and water cleanup restoration provider by hundreds of insurance companies nationwide. 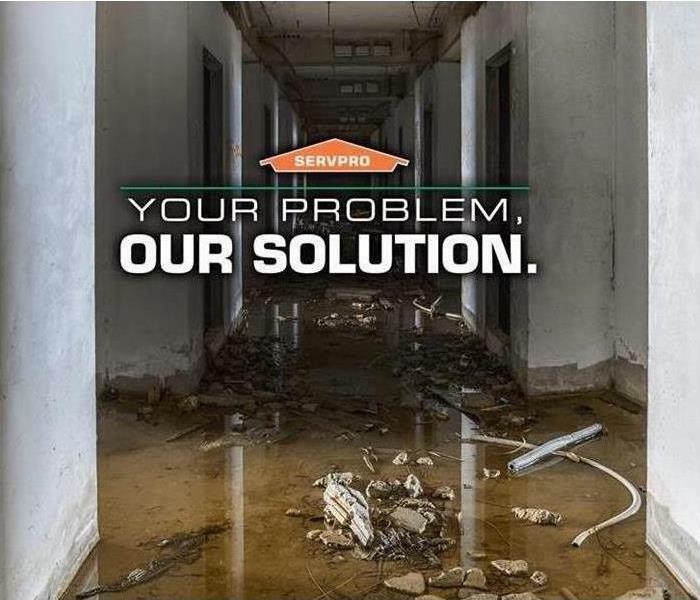 SERVPRO of Winston-Salem North offers fast, reliable bio hazard and crime scene cleanup and restoration services to residential and commercial property owners too. Exposure to biological and chemical contaminants can pose serious health consequences for building occupants, employees, customers and owners. A failure to properly handle and safely remove such hazardous substances can contribute to unhealthy and even dangerous environments. Now that the temperature is dropping, you may start to wonder what you can do to keep your home healthy and prepared for the colder months. While mold does not occur more frequently in the winter compared to other times of the year in a controlled indoor setting, there are problems to look out for in the colder months that can affect the moisture in your home and cause mold growth. Common winter problems including frozen pipes and improper insulation can lead to more than simply a cold home. Mold can be a scary concept to any homeowner, but here are some steps you can take to prevent mold from growing due to the brisk temperatures. Ensure that your gutters are clear to help prevent ice from building up and that your dehumidifiers are running in lower levels of your home. Check that your attic and any pipes in your crawl spaces are insulated to help prevent pipe bursts or condensation. Following these procedures will keep your home properly insulated and free of mold caused by uncontrolled moisture levels. If you have any questions about mold, contact SERVPRO of Winston-Salem North. 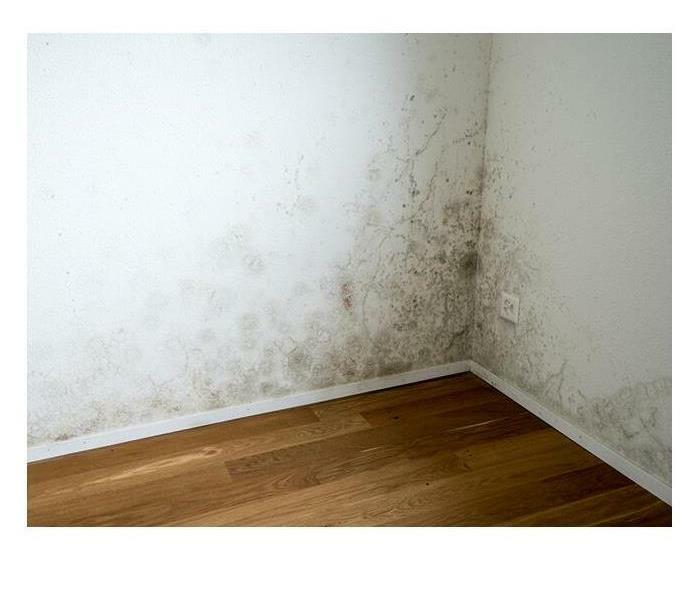 Our mold remediation experts can handle any size mold disaster. At SERVPRO of Winston Salem North, we understand that your business is important to you. Our restoration professionals work hard to help restore homes and businesses in our local community daily. We are equipped with the expertise and technology to restore your property from any size disaster. However, there are steps you can take on your own to prevent damages to your business. Start with a thorough risk analysis. Plan for emergencies and obtain insurance coverage that will cover your business in the event of a flood. Consider any damages to property as well. Pay attention to weather alerts in your area. Ensure that all gutters are inspected and clear of dirt and debris regularly. Install barriers to prevent water from getting inside. Use flood-resistant materials in any new construction to your business. Relocate your files to a safe location, and back them up. These measures will protect your business in the event of flooding and drastically minimize the damages to your commercial property. 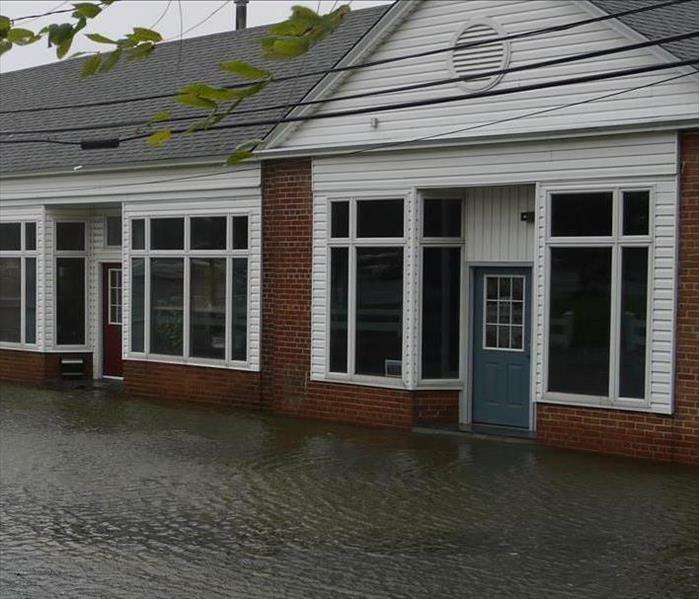 If you experience any flooding or storm damage at your business, contact SERVPRO of Winston Salem North at (336)744-5104. We can help make your commercial disaster “Like it never even happened." Dirty Cobwebs??? Not hardly... SOOT WEBS!!! These are not SPIDER WEBS. 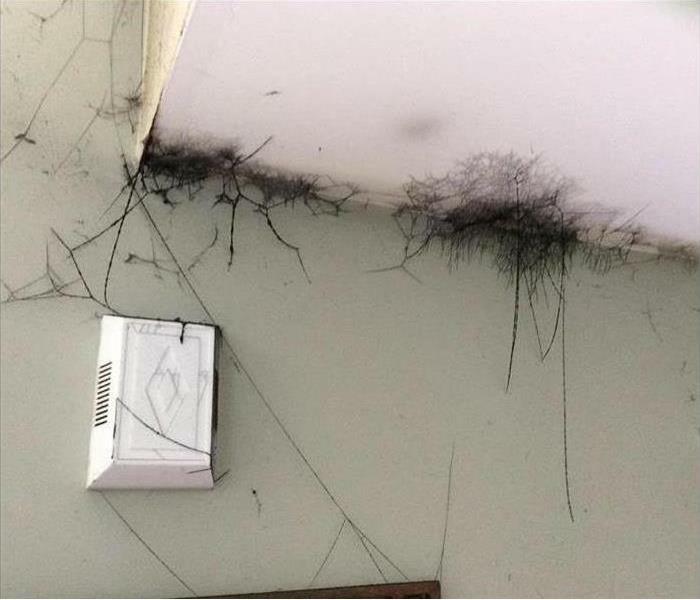 This is known as a soot web. Do not attempt to clean these on your own. I walked into a clients home the other day and thought WOW... She remarked how she isn't normally a dirty person and that she had just wiped those areas the other day before the fire. Then I learned that this is a natural reaction by soot. That they make their own webs magnetically. These webs are usually found in corners like spider webs and here’s why. Smoke/soot circulates towards cold, as the air is seeking equilibrium within its environment. These areas tend to be on the perimeter of the ceiling on an outside wall since those walls are cooler. Not only are those areas cooler, but the area near the ceiling is also a low area of concentration. How cool is that??? I mean I know the fire ain't such a great deal but this part is really neat. Anyways, I thought someone else might find this just as interesting. PS, don't clean these when a fire happens, it can compound the issue. Leave it to the professionals to get rid of them. Flooding and water emergencies don’t wait for regular business hours and neither do we. SERVPRO of Winston Salem North provides emergency restoration services 24 hours a day, 7 days a week—including all holidays. Flooding and water damage is very invasive. Water quickly spreads throughout your home and gets absorbed into floors, walls, furniture, and more. SERVPRO of Winston Salem North arrives quickly and starts the water extraction process almost immediately. When minutes matter, this immediate response helps to minimize the damage and the cleaning and restoration costs. 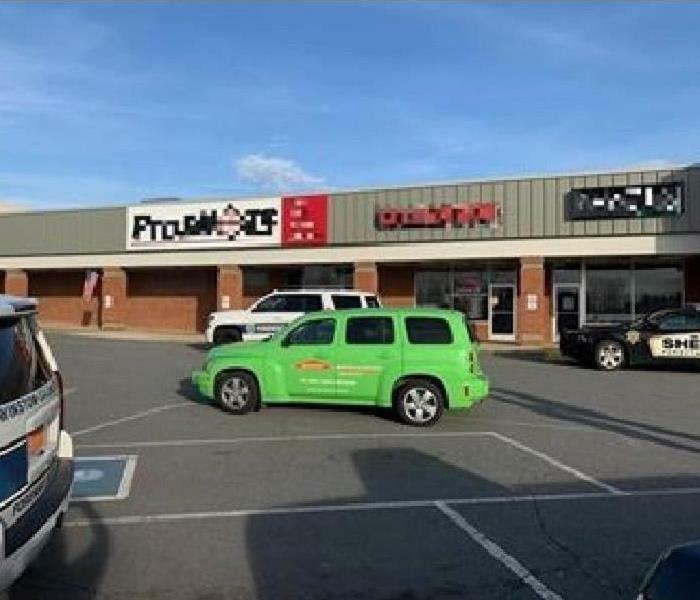 SERVPRO of Winston Salem North specializes in the cleanup and restoration of residential and commercial property after a fire, smoke or water damage event. Our staff is highly trained in property damage restoration. From initial and ongoing training at SERVPRO’s corporate training facility to regular IICRC-industry certification, rest assured our staff is equipped with the knowledge to restore your property. When a property experiences a fire, a homeowner or commercial property manager will begin to hear a lot of terms they aren't familiar with. Familiarizing yourself with this vocabulary will help facilitate your understanding of what is happening. Rest assured that if you should ever need our help, Our Crew will walk you through the process of cleanup and restoration. Fire Damage: This is a general term that says a fire was the cause of loss. Stabilizing the Structure: This refers to the need to make a structure safe enough for our technicians to begin cleanup and remediation work. The fire must be completely put out. It may also include roof tarping, board-up, temporary fencing, and a security guard. Roof Tarping: A thick, weatherproof piece of plastic tarping will be attached to the roof to prevent precipitation from entering the building and causing secondary damage. Board-Up: When pieces of board are placed over damaged windows and doors to prevent precipitation from entering the building and also to deter possible break-ins. Temporary Fencing: When a temporary fence is installed around the perimeter of the property or highly damaged areas to prevent possible break-ins and keep the general public away from sensitive areas. Security Guard: When a structure cannot be immediately stabilized (for example, it’s raining and it’s not safe to tarp the roof), a 24-hour security guard can be hired to protect the property. Secondary Damage: A damage that occurred which did not come from the original source. For example, in a fire damage, the fire is the primary damage. Secondary damage may come from the water used during firefighting efforts. Pre-Loss Condition: Means to put the property back together the way it was before the fire damage. This is the goal of the insurance company when a fire damage occurs. Smoke Damage: When smoke particles have embedded themselves in a material, like a wall, clothing, or piece of furniture. Smoke damage cannot usually be seen, but it can be smelled. Cleaning and deodorization should take place. Soot Damage: When soot has sullied a material. Soot is produced by the incomplete burning during the fire. It is acidic and causes damage to materials when it’s not properly or promptly cleaned. Cleaning and deodorization should take place. Demolition: When a material has experienced permanent damage and cannot be cleaned, it is removed and thrown away. Containment: When thick plastic is set up in order to isolate the airspace of a room. This is done so that deodorization techniques can be more effective or to prevent an unaffected area of a property from becoming contaminated. Air Scrubber: A machine that cleans the air. HEPA Filter: High-Efficiency Particulate Arrestance filter can catch particles as small as 0.3 microns. This is our filter of choice when using an air scrubber. Deodorization: When an item or property is rid of smells caused by the fire damage. Structural Framing: The structure of the property, like beams. If the structure has been damaged, it must be replaced. Contents: Anything that is not part of the structure, like furniture. When affected, contents can either be cleaned on-site or taken back to our cleaning facility. Textiles: If you turned the property upside down and everything fell out, the items that fell and did not break are textiles. These include clothing, shoes, plush animals, etcetera. When affected, textiles are taken back to our facility for cleaning. Pack-out / Pack-Back: When the structure isn’t safe, contents and textiles are moved out of the property and taken to our facilities for cleaning and storage. They are returned when the property is clean, reconstructed, and safe for inhabitants. Items may also be delivered to a second location if the owner would like them returned sooner. Storage: Items that have been packed-out are stored in our facilities until they can be returned. HVAC & Duct Work: Heating, Ventilation, and Air Condition system. Ducts are the pathways for the cold or warm air to travel around the property. Many times, the HVAC system needs to be cleaned after a fire damage because smoke has accumulated inside of it. Emergency READY Profile: An ERP helps provide a plan of action for a property before any disaster happens. It provides us your property’s information, like room sizes and types of flooring, so our response is faster, should anything ever happen. You can fill one out on your own using SERVPRO’s READY Plan website or you can schedule one of our team members to visit your property and fill one out for you at no cost. SERVPRO of Winston Salem North has over 10 years of experience remediating water, fire, and mold damage. We can be reached 24/7, 365.25 days a year because We are always HERE TO HELP. Trust the Professionals at SERVPRO of Winston Salem North to be YOUR solution. 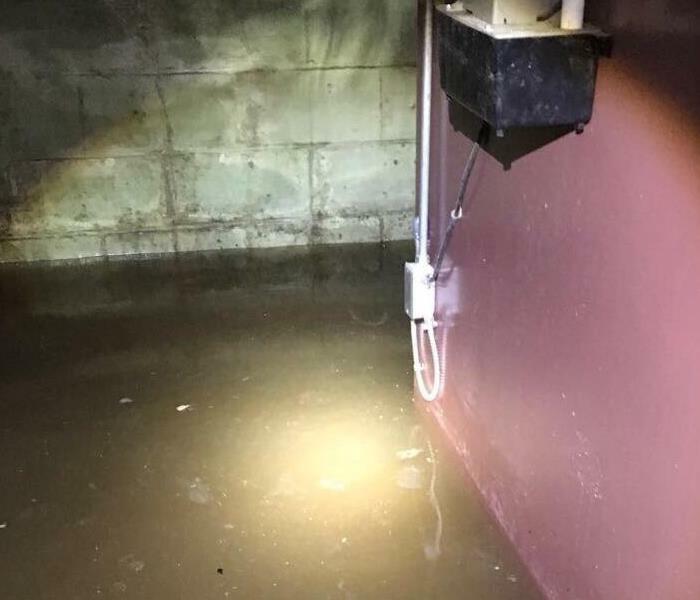 Flooding and water damage events in Winston Salem commercial properties are often complex with numerous issues that require a knowledgeable and flexible response. Whether we’re dealing with a relatively small water cleanup scenario or a large scale event, we work quickly to assess each unique situation and isolate the damaged area. In many instances, normal operations can continue in a temporary space while we restore your facility. Call us today at 336-744-5104 with your commercial needs. As of May 2014 SERVPRO of Winston Salem North expanded. We are still located at 4994 Indiana Ave Winston Salem, NC 27106, but we are now in Suite A and B. This means our company is growing!! We couldn't have done it with out- #1 our customers and #2 our staff and crew, that provide such excellence in customer service. 2/28/2019 - What To Do About Smoke and Soot Residue From Fire Damage. 8/8/2018 - Dirty Cobwebs??? Not hardly... SOOT WEBS!!! 6/30/2014 - SERVPRO has Expanded! !